Product code: T842cc Categories: Art Deco, Art Deco Pendant. Here is a truly exquisite 1920’s era platinum Art Deco diamond drop pendant that will certainly be admired and commented on every time that it is worn. The elegance and sophistication of the Art Deco period can easily be seen here in this piece, especially when you consider that there are two large diamonds, however thanks to the design, it allows you to appreciate both the diamonds and the style of the pendant without it being ostentatious. At the top of the pendant is a European cut diamond that measures 1.12 carats and is F in colour and Vs in clarity which itself is a large diamond, however at the bottom is an even larger European cut diamond that measures 2.53 carats and is J in colour VS in clarity. There is something so special about genuine antique cut diamonds, and in recent years, these antique European cut diamonds have become so sought after. And then with the most simple yet elegant aspect, the section joining the two diamonds is set with seven early brilliant cut diamonds that totals 0.07 carats and capture the light to draw your eye to the two main diamonds. 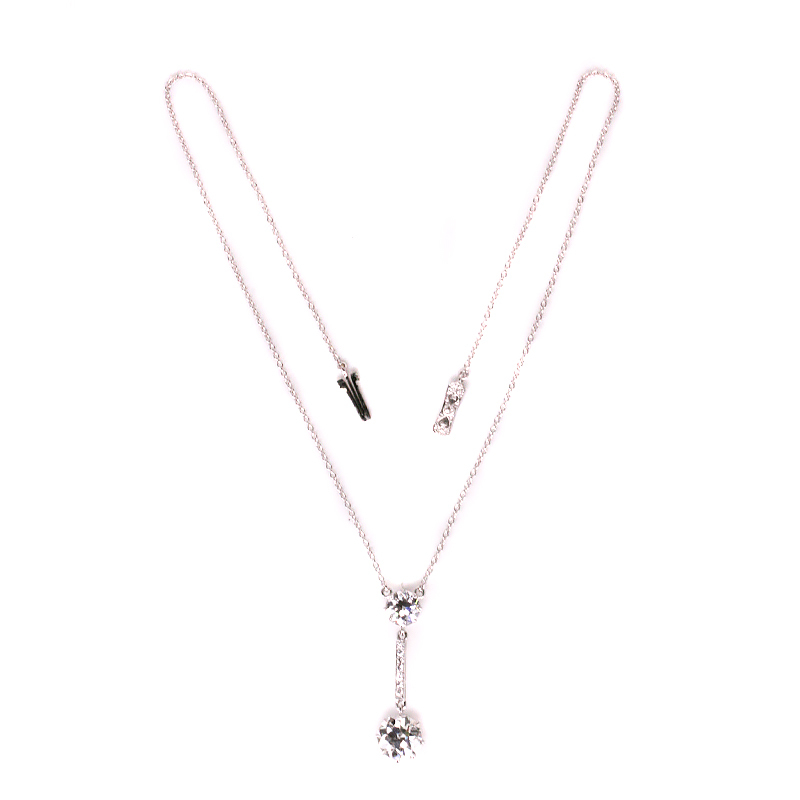 From the top diamond to the lower diamond, this distance measures 3.3cm and laid out from end to end the chain measures 36cm and is fitted with a new 18ct white gold diamond set clasp. Art Deco jewellery of the 1920’s to the 1940’s has always been so sought after, and this one is just superb and will always be admired. 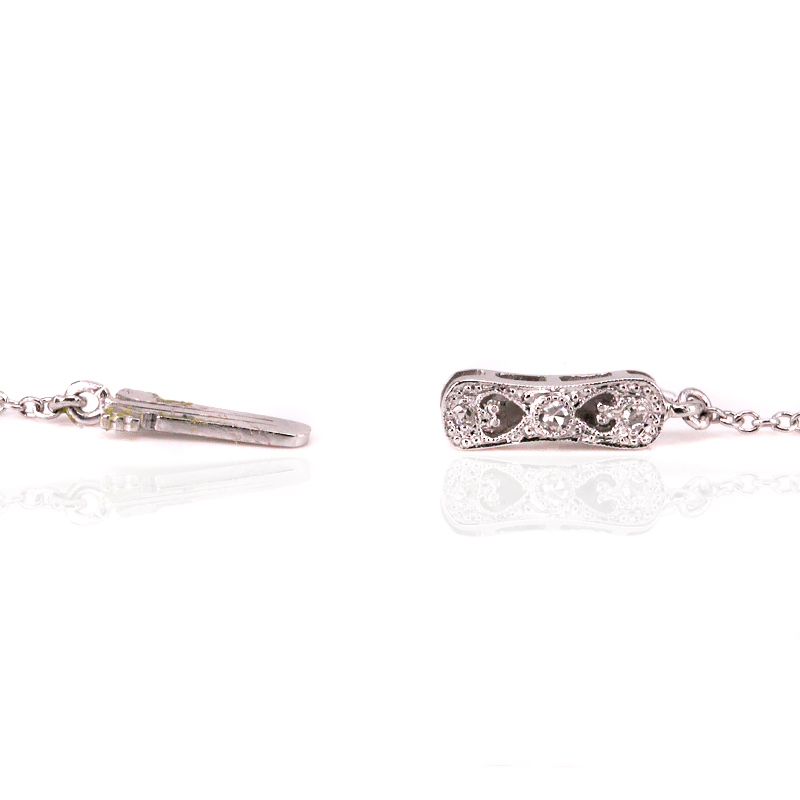 Tag: Platinum Art Deco diamond drop pendant. Hand made in platinum, this Art Deco pendant is set with two large antique European cut diamonds. Sitting perfectly on the neck, this piece exemplifies Art Deco jewellery at its finest.